Vaibhav Global has extended its One for One program to the US. Shop LC, the company’s US subsidiary, has partnered with the No Kid Hungry campaign to expand its Shop LC One for One program, which seeks to end childhood hunger globally. For each product sold, Shop LC currently donates one meal to a hungry child in India, and through the partnership with No Kid Hungry, the company’s donations will now help kids in the US by giving healthy meals during the school day and in the summer. 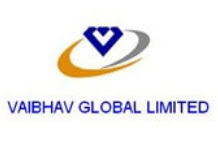 Vaibhav Global earlier known as Vaibhav Gems incorporated in Jaipur in 1989, is today a professionally managed, end-to-end vertically integrated business organization.